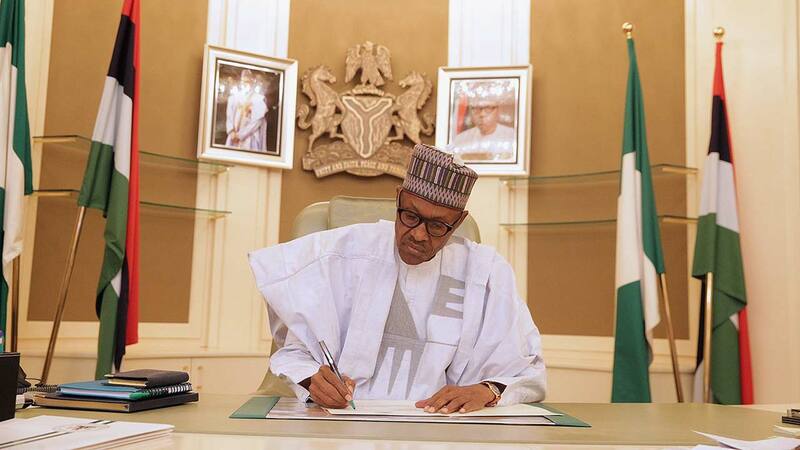 President Muhammadu Buhari of the Federal Republic of Nigeria. Mr. President – finally, I get to call you that – I would like to congratulate you for winning the elections and becoming the president of this nation. Congratulations again. That being said, I want to get something out there; I really don't like you. I don't like some of your beliefs, some of your utterances and some of your (in)actions. This started just before the 2011 general elections and it didn't get better afterwards. Quite frankly, before your campaign in Zaria, Kaduna, I was quite indifferent about you. Your campaign posters, jingles and TV adverts on the platform of the Congress for Progressive Change (CPC) just didn't connect to me and the moment you spoke, I was not moved by you’re the quality of your speech (or the lack of it). You see, for me, those were the things that mattered in a campaign. Based on the strength of your campaign, I concluded that I didn’t want you as my president. All that changed though when you came to Zaria. I was in school and heard that 'Buhari is in town. Buhari ya shigo gari.' I really didn't care until someone told me there was some crisis on the Zaria-Kaduna Bridge. When I asked what the crisis was about, I was told that party supporters of the People's Democratic Party (PDP) were being attacked by supporters of the CPC. Their windscreens were broken and they were roughened a bit. So drivers had to show loyalty to you to avoid attack on themselves and their vehicles. Though I was worried about this development, I felt you must not have known about it, so it wasn't your fault. Few hours later when I was heading out of school, my view changed. There in front of North Gate, Ahmadu Bello University was a mammoth crowd heralding you and your then running mate, Pastor Tunde Bakare. The crowd put the fear of GOD in my head. They were carrying all sorts of weapons, from curved wooden batons called ‘Gora’ to swords, knives and sticks. One sword particularly had me pretty jumpy. From what I hear, it is called a ‘langa langa’. It is slim, long and very flexible. I was on an Okada and almost wet my pants when I spotted the campaign bus carrying you. You were exalted above the people, waving, smiling and generally doing what prospective leaders do. I remember that though I literally had my heart in my mouth, I couldn't help but be disappointed that you, from your vantage point and seeing the weapons your supporters were wielding, weren’t doing anything to stop their hunger for blood…because to me, that is what it was. When I finally got home, I had to lock myself and my sister in our room and stay quiet until everything became quiet. Even at that, I didn’t venture into the streets. At that point, I called my sister and brother and told them that we would not stay in Zaria for the elections no matter the circumstance. And true to script, Nigeria erupted in violence when you did not win the 2011 elections. Kaduna especially –which is my home town – was in such chaos that all anyone needed to do was go out of their houses and see the smoke covering everywhere. My brother had gone for I.N.E.C duty and when we heard how corps members, students and anyone who was different were brutally killed, I feared for my brother’s life. You see, he is my only brother and we had lied to our father that he had an exam to write. I imagined him being butchered for being different or worse, for just been there. It quickly degenerated into a religious fight – as usual – and we were all tense, waiting for news of our brother and others whom we knew were stuck somewhere in the hot zones. In that time frame, I kept listening to the radio and watching the television for any news calling for peace. Surprisingly, the then Nigeria Electric Power Authority (NEPA) ensured we had roughly 24-hours supply of electricity. You can imagine my angst when your response didn’t come until two days later on Radio Kaduna. For two whole days, you had been silent as Nigerians were killed, butchered, maimed, raped and other such horrible acts. For two whole days, you didn’t call your supporters, who started the crisis because of your loss, to shun violence as the same Nigerians you wanted to rule were annihilated on the basis of party and/or religious affiliations. When you finally made a call, it was too late; too late for the 800 people (as reported by the Human Rights Watch) who lost their lives in the ensuing crisis; too late for the number of people who were injured, battered, bruised and maimed and definitely too late for the peaceful existence between Muslims and Christians in states like Kaduna, Kano, Bauchi, Gombe and Katsina. To me, your silence was worth more than the inciting comments you were accredited with and in that moment, I wrote you off completely. Now that you have finally succeeded in becoming President, I really want to believe that you, as your campaign promised, are a changed man; a man who cares about the plight of Nigeria and Nigerians, a man who will not sit back and watch citizens butchered on the basis of religion or tribe, a man who is now a progressive. So President Muhammadu Buhari, now that you have settled into Aso Rock and have started carrying out your duties, here is my own piece of advice. I may not like you but your policies will affect my life, my business, my plans and my dreams. Therefore, I need you to work. As one who is alleged to have contributed in dividing Nigeria along sentimental lines, you need to set a road map to fix this divide. Before you jump down my throat, many newspapers reported that you asked Muslims to vote only for one who upholds Islam’s tenets. This was reported by allAfrica.com in an article written by Isah Ibrahim Maru titled ‘Nigeria: 2003: Buhari Urges Muslims to Vote Upholders Islam’. It was dated 21 January, 2002. In his words, ‘As the year 2003 elections draw closer, former Head of State, General Muhammadu Buhari (rtd) has called on Muslims across the country to vote only for the presidential candidate that would defend and uphold the tenets of Islam. Buhari who made the call yesterday at the closing ceremony of the 16th National Qur'anic Recitation competition held in Gusau, Zamfara State told Muslims that they have every reason to thank Allah for restoring the Islamic Sharia under the present dispensation, which he said was destroyed by British colonialists during their crusade in 1903 against the Sokoto caliphate’. If that article is to be believed, then you, being a respected figure in the Northern part of the country, told Muslim Nigerians to only vote a Muslim for President. Knowing how religious we are, it meant that Muslims across the nation would have voted for you. Being from Katsina, many people saw you (and still see you) as a ‘true Northerner’ and since the North believes that leadership is their collective mandate, you were in a strategic position to win the elections. Again, if this is to be believed, you knew that states like Bauchi, Jigawa, Kano, Katsina, Kebbi, and Sokoto would invariably vote for you. It wasn’t a surprise then that the Northern states that voted for you in 2003, were still the same ones which voted in 2007, 2011 and 2015. You never lost ground with the North. Quite frankly, you gained more ground each time you tried. What is clear though is the fact that you only got the West and some parts of the North Central when people were tired of the incompetence of Jonathan. What does that tell you? Another reason why I want you to work towards removing sentiment, especially religious and tribal sentiment, is because before the last elections, most Christians wanted Jonathan and most Muslims wanted you. Either way, the situation was dicey. Many Christians in the Northern part of the country were said to have voted you because they didn’t want their lives tampered with if for any reason you lost. It is also said that many Northerners in the Southern part of the country voted Jonathan because they didn’t want to have to lose their lives to militants who were loyal to Jonathan. That fear was not helped in any way as people were reminded that on May 16, 2012, Punch Newspaper reported that you promised violence if the elections did not go your way. An article by John Alechenu, Olusola Fabiyi, Tunde Odesola and Olalekan Adetayo titled ‘Buhari under fire over threat of bloodshed’ made this statement and I quote. ‘“God willing, by 2015, something will happen. They either conduct a free and fair election or they go a very disgraceful way. If what happened in 2011 (alleged rigging) should again happen in 2015, by the grace of God, the dog and the baboon would all be soaked in blood,’’ Buhari reportedly told the party members who paid him a courtesy visit in Kaduna on Monday.’ All these portrayed you as very divisive and violent man. The tension was palpable before the elections and until Jonathan conceded defeat, most people thought that Nigeria would erupt in war. An Igbo man who did not travel back home told me that as soon as he came back from work on election day, some young guys came to listen to the results in front of his house. What was surprising was that they came with machetes and knives and when each state was called that showed Jonathan winning, they sharpened there weapons and taunted him about his upcoming death. When Jonathan conceded defeat, they took bags of sachet water and sprayed all over his house, telling him to count himself lucky. It was also said that Northerners who didn't return home locked themselves in their houses in the Southern part of the country as they awaited their fate. That wound might not stink anymore but it doesn't mean it has healed. Sentiments like this trickled into religious institutions. Many churches still told their members to vote Jonathan because you were reportedly a fanatic. My pastor, obviously your supporter, and one who knew he could influence his members, had to come out and say ‘I will not tell you who to vote. What I will tell you is, choose a candidate and GO OUT TO VOTE. WE MUST ALL EXERCISE OUR CIVIC RIGHTS’ and he remained mum until after the elections. It wasn’t until you won that he said he had voted for you. On the flip side, many Imams told Muslim faithful to ensure they voted you into office. I have a friend whose dad is a big Alhaji in Yola. One day, after his morning prayers, the Imam asked them to remember to go out to vote, in his word, ‘our own’. My friend’s father came out and openly chastised the Imam for using his religious point of influence to try to sway the worshipers. After his rant, he went home. Usually, people followed him to talk about politics and for others, to collect alms. To cut a long story short, they avoided him for a whole week before they begun to relate with him again. He was a huge supporter of yours; he just didn’t want religious leaders to use sentiments to sway voters. He knew that there were PDP, SDP, PDM and APC supporters who prayed in that mosque just as my pastor knew his members were not all supporters of APC. This is the same stance I want you to have. I want you to ensure that by 2019, more people will vote based on the competence of individuals and not on whether the candidate is a Muslim/Christian, from the North/South/East/West or male/female. How can you do this? There are some simple ways. a. Just like your election jingles, direct the press (Radio/TV/Print/Social Media) to play/show jingles/advertorials about peaceful coexistence, oneness and nationality on a daily basis. What a person hears continuously sticks to his mind. I have a very clear example on how effective this can be. Months before your election, I spoke to many people who said they would vote for you for President, Honorable Aishatu Dahiru Ahmed (Binani) for Senator representing Yola Central Zone (PDM), Nuhu Ribadu for governor (PDP) and APC for house members. This was something called ‘Dafa Dukka’ or ‘jollof’, implying mixing different varieties. This changed when a recorded message from you asked people to vote ‘APC sak’ or quite literally ‘APC all the way’. This message was played on radio stations in Yola as often as was possible and when election D-day came, many people were just punching APC because they didn’t want you to lose. I was told when the winner was called at one polling unit and it wasn’t Binani, the same voters were shocked that she had not won. In fact, it was said that many of the voters asked who the APC winner was because they had not known they were voting for him. In their minds, ‘APC sak’ was what kept ringing and that is what they voted for. Use that example to get jingles and advertorials out there that can form the thought process of the general populace. b. Employ competent people into your government, regardless of tribe, regional zone or religion. Competent people need not speak much; their work is more than enough voice. Let each person you employ be so good at his/her job that people do not care what his personal ideologies and beliefs are. Let me give you another example. Former Governor Babatunde Raji Fashola was such an effective governor that I live all the way in Yola but have heard his exploits in Lagos. If he had come out for President, I’m sorry to say, most people who voted for you would not have voted for you. Another efficient governor is Governor Nasir ElRufai of Kaduna state. He has always said he is a Nigerian first, before he is Hausa. I hated him too but since he hit the tarmac running in Kaduna State, my hate has gradually ebbed away. They are Muslims and I do not share their faith, but I share their efficiency and that is all that matters to me. c. Punish people who make inciting statements. Let people like Asari Dokubo, Tompolo, Junaid Muhammed, Adamu Ciroma and the likes be publicly disgraced and sent to prison for inciting people to violence. And they should not be given special cells either; they should be made to suffer immensely for each careless word they uttered. a. Building industries: I realize that we have many financial issues ranging from a huge deficit, dwindling foreign reserves, poor internally generated revenue and in your own words, ‘an almost empty treasury’. Because of this, I do realize that building industries may be hard but you can do it. Look at it as a long term investment by the government to cushion for the rainy day and provide for the future. This will fall in line with your plans of creating at least twenty thousand jobs per state. b. Inviting Investors: you can borrow a leaf from Fashola’s developmental book. Get investors to come in and build the factories/industries. Then pay them over time by taxing the citizens. No company wants a charity case. So prepare a strategic plan for revenue generation that will furnish whatever capital the investors are putting up to bring our development up to speed. All sectors in Nigeria are a potential source of revenue; from the rice paddies in Adamawa to the markets in Aba, we have it all. Get ministers who know what to do and how to do it. Let them get down and dirty with their minds as well as their strength. Find out what we need to export as a whole or in part. Let us move from a consumer nation to a producer nation. Why do I believe you can do that? Quite simple! You have EVERYTHING to lose. Your campaign was built on how you intend to do all this and this call is just a reminder of everything you promised. This is the first phase I want you to look into and begin to work towards.